Hello, group. My name is Jenn, and I'm addicted to Matilda Jane Clothing. One big fact people tend to know about me is that I have 0 daughters. I'm doing pretty well in the way of sons, but I'm apparently ill equipped to manufacture females. As my friends and family gave birth to little pink bundles through the years, I watched them have the time of their lives while dressing them in the most adorable duds in existence. When mentions of Matilda Jane swirled through our extended groups, I was pretty sure I didn't qualify to pay any attention to it. Have you heard of Matilda Jane? It's a small clothing company that operates in intimate in-home art fairs of sorts called Trunk Shows. 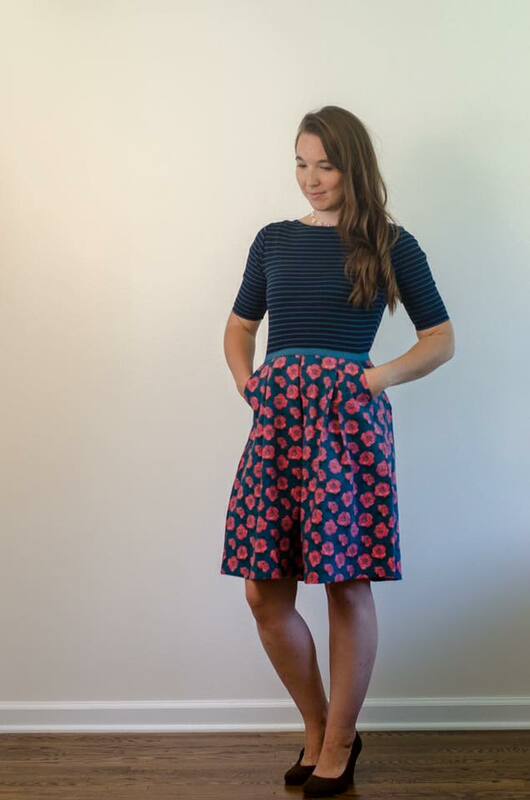 A trunk keeper (keeper of all the pretty samples) brings her clothing goodies for babies, girls, tweens & women to your house for you and your friends to model around and play with. MJ began as a little girls' clothing company, and is still mostly known as such. Half a decade ago, when I had my first tiny-little, the company was still very child-based (the women's lines hadn't exploded so much yet), so I didn't see the value in checking it out. Until I discovered the wonder that is Good Luck Trunk. If you aren't already well-versed in the world of MJC, Good Luck Trunk (normally referred to as GLT) is sort of the Matilda Jane outlet store. As seasons of clothing age, they are moved to GLT and then heavily discounted. (Psst - it's empty right now, it'll be back in March!) It was during a GLT Summer sale last year that I decided to buy a few $8 items (seriously - tax free, no shipping, legit only $8 each items) because why not? 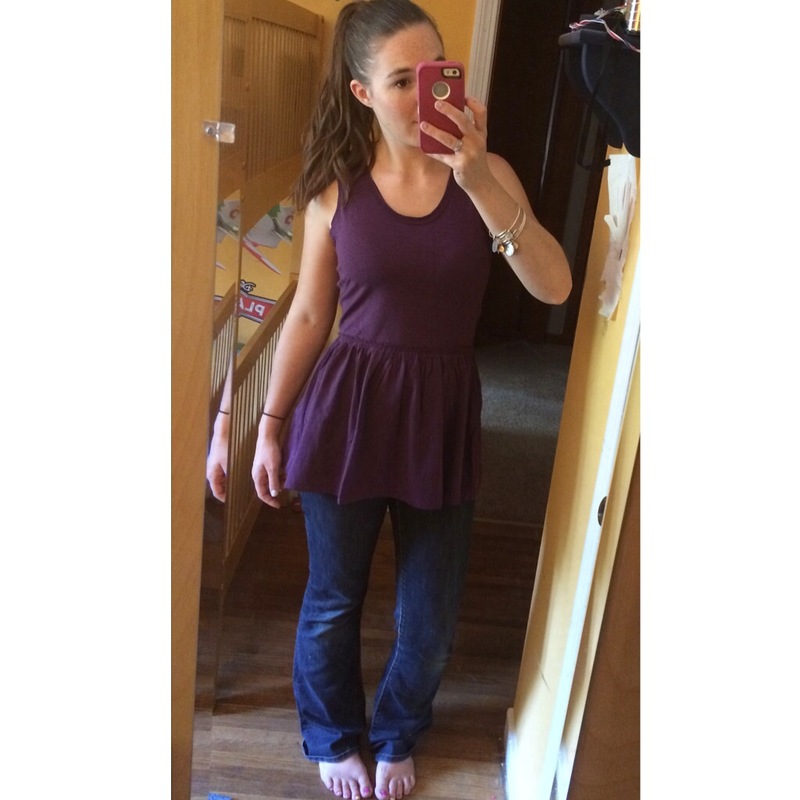 I got some capris, a fun looking tank, and a pretty peplum top. I'll never forget when I got that first package in the mail. It only took $24 and three green mesh bags to begin a brand new love affair. I was wowed and awed by the quality of the materials and the surprise little details in things like trim and stitching. I felt girly and pretty wearing those pieces, even though they were pretty simple. I immediately wanted more! The timing just sort of worked out so that the Fall lines were about to be released, and I fell in love with enough new pieces to host my very first Trunk Show. Here's the thing. My love was helped along quite a bit by the fact that, uh...my BFF sells it. That means that at (almost) any moment, I can ride over to her house and play with the pieces and try them on with as many other things as I feel like without being rushed out of a store changing room because I have a toddler with me, or I'm worried the person in the next stall is peeking. No husband tapping his toe waiting for me to see what a top looks like with skinny jeans, and leggings, and boot cut jeans, and a skirt...because, a girl has to know, ya know? At my trunk show, I had all the pieces at my house to try on, which is when I fell in love with even more things I had to have. And since my trunk keeper happens to love me a little bit, she can even hunt down items in my size that are sold out or running low. Since then, I have amassed quite a collection of Matilda Jane in my closet, and they are my absolute favorite clothes to wear. (As you know, I totally believe in treating yourself for all the hard work your life requires!) Some pieces are dressy, some are loungey, and many are in between. The things they all have in common is that they feel special on - like you're being pampered and honored just by having one of their pretty shirts or sweaters on - and they all garner compliments! Of course, some items stand out more than others - I have a few that get attention every single time I wear them. There is something special about Matilda Jane. I was late to the party, but my love is true and deep! I can't tell you how many times I've felt like their clothes were made just for me. Like finding them is a big, awesome secret I have. It's not a secret though, and even more so now that I'm sharing it with you!